The department of general education and humanities has existed since the 2012 school year during the opening of the medical college, which was opened by the decision of the academic council of the ZhASU on the basis of the Rector’s Order No. of September 2012. Since the opening, the department was headed by a teacher Kalaeva Gulum. Since September 2016, the head of the department has been appointed senior teacher Bakalaeva Laylikan Kenzhekulovna. The department of general education disciplines is a service department and does not graduate specialists. In which basically all general education and humanitarian disciplines are taught for all specialties. There are more than 14 classrooms, 4 laboratories, 2 lecture halls, 2 sports grounds, 1 tennis hall, etc. Equipped and equipped with instruments and reagents of the laboratory of organic, inorganic and analytical chemistry. Today, the department has 23 teachers, of whom 20 are full-time and 3 part-time workers. The department mainly teaches all general education and humanitarian disciplines which are presented by experienced teachers with many years of experience. Adysheva Azizbu Adyshevna – Ph.D., associate professor, teacher of chemistry, excellent public education, Honored Worker of Zhagu. 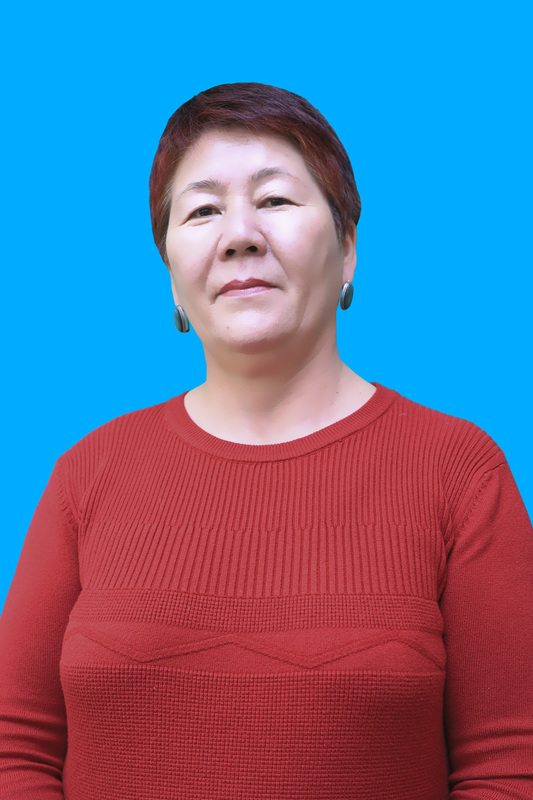 Borkoshova Sabira Lecturer of Biology, Certificate of Merit of the Ministry of Education and Science of the Kyrgyz Republic. The teachers of the department take part in organizing methodological assistance and the staff published more than 12 educational and methodological complexes, 3 methodological developments for laboratory classes in organic chemistry, development of lecture materials, teaching aids, etc. Our team has participated and are involved in the training of mid-level medical specialists in all specialties of the college since the foundation of the college.